I get a lot of emails from parents asking for suggestions about places to take toddlers on holiday. Generally, they all want the same thing: somewhere which is good value, easy to get to, and with loads of things for toddlers to do when they get there. Well I think I have the answer for all those parents: Duinrell Holiday Park in The Netherlands. I spent a week in Duinrell with my family, courtesy of Eurocamp, and have come back telling everyone who will listen about just how good Duinrell is for toddlers. 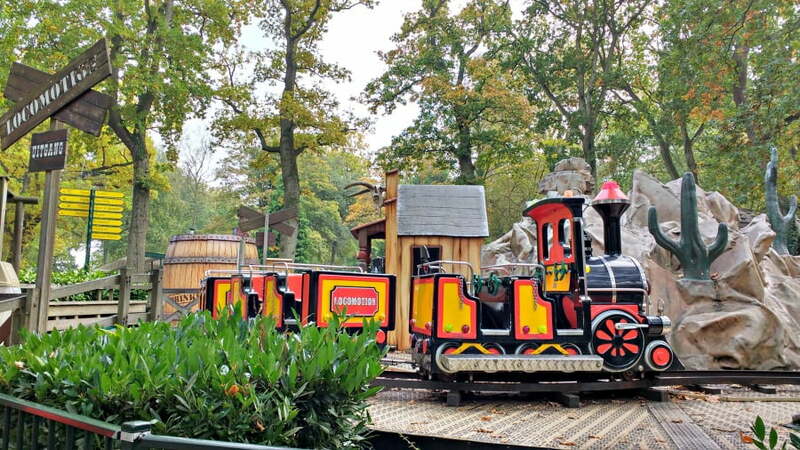 In this Duinrell review, I’m going to tell you why Duinrell is great for toddlers, and why I think should consider it for your next holiday. 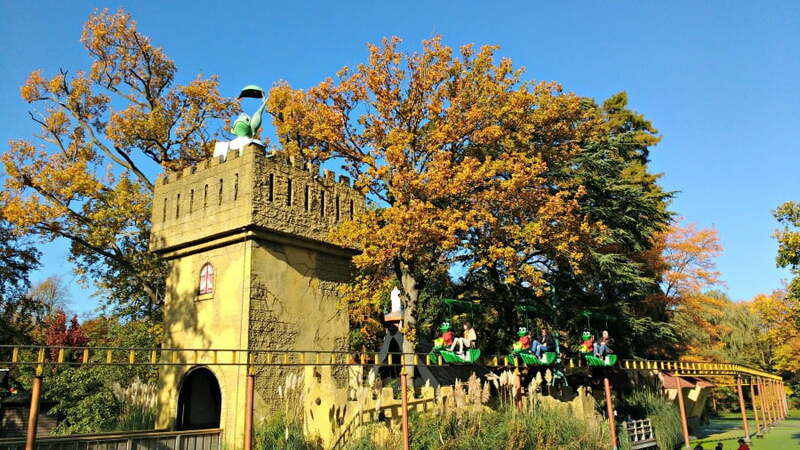 Duinrell is a family friendly holiday park, with a theme park and water park located in South Holland. Surrounded by woodland, and just 4km from a sandy beach, Duinrell is also a great base from which to explore Holland. Duinrell was opened in 1935 by the owner of the time, Count Philip van Zuylen. Visitors could pay 10 cents and wander around the 1 million square acre estate of forest and sand dunes. 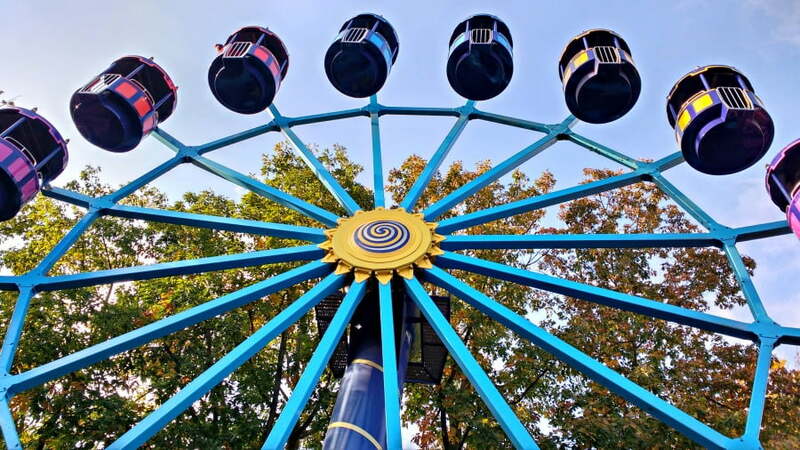 Today there are over 40 rides and attractions at Duinrell, but the park still has the feel of a family run holiday resort, which hasn’t become too commercialised as it has grown. Nowadays visitors can choose to stay at Duinrell and enjoy all the rides and attractions on their doorstep. 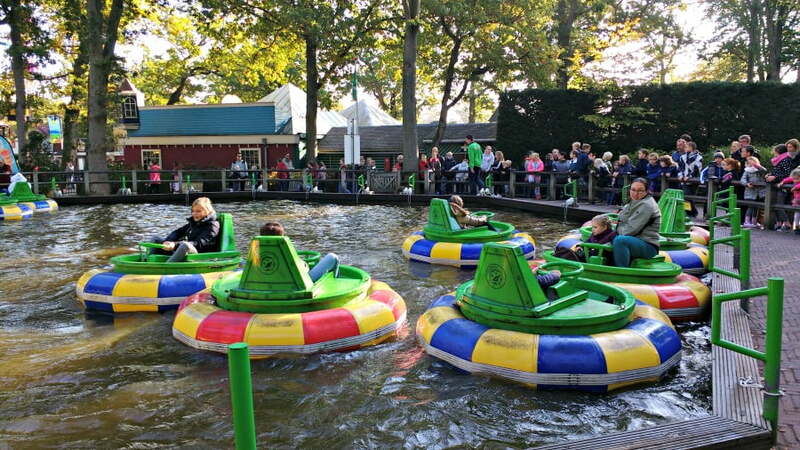 The Duinrell theme park has to be the highlight of any holiday to Duinrell. Entrance to the theme park is included in the cost of your stay so you don’t need to pay anything to get in when you are there – bargain! The theme park is 5 minutes walk from most of the holiday homes and you don’t need to show a pass to get in – you just come and go as you please. It’s a perfect option for younger toddlers who might not be able to hack a full day at a theme park in one go. At Duinrell, you can visit the park for a few hours, pop back to your holiday home for a nap or lunch, and then go back in the afternoon to go on a few more rides. 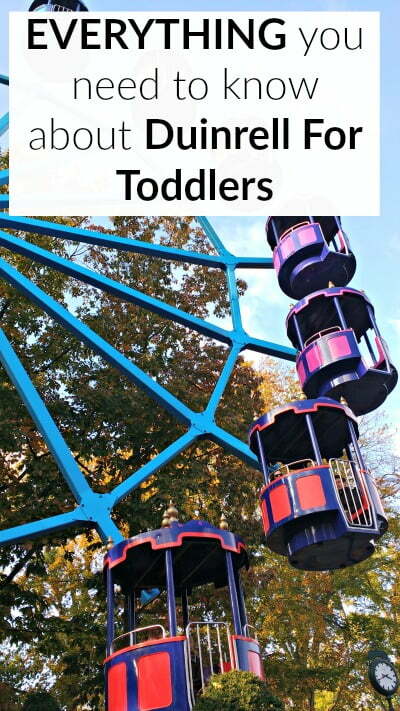 Families with a couple of children will like this too; one adult can take the older child to the theme park while the baby or toddler is having a nap back at the holiday home with the other adult. Simples. Duinrell isn’t Alton Towers. It is a lot smaller, and there aren’t as many rides as some of the larger theme parks in the UK, but there also aren’t the queues either. If you want to take your toddler to a scrupulously clean, well-organised theme park with a laid back family feel and friendly and helpful staff, then Duinrell is your place. 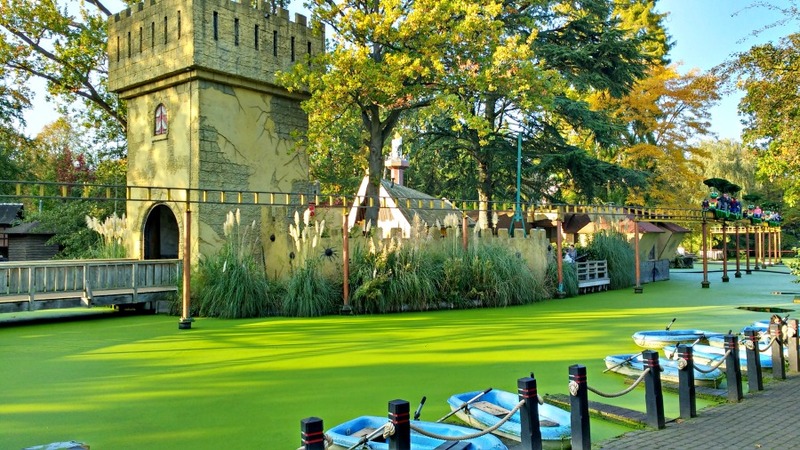 Spending time at the Duinrell theme park was relaxing – and I don’t think I’ve ever felt relaxed taking my toddler round a UK theme park before. 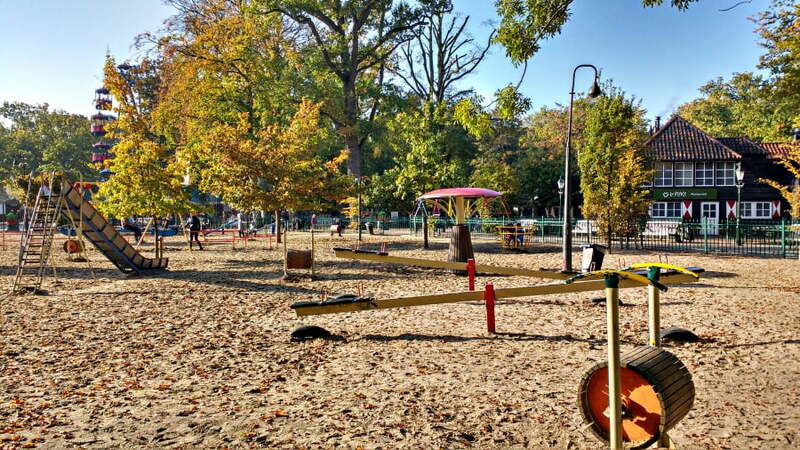 There are 2 shady sand based playgrounds near the entrance which are perfect for toddlers. These are really big, and have loads of things to play on including slides, sea saws, climbing frames, swings and roundabouts. Best of all, these playgrounds are open all the time – even when the rides are closed. This means that if your little one tends to get up at the crack of dawn, you can bring them here for a quick play before breakfast. Alternatively, you can also bring them here before bed just to burn off any spare energy they may still have. There is a good mix of roller coasters for older children through to bumper boats, train rides and trampolines for toddlers. There is a ball pool and indoor soft play in case it rains, and all of the attractions are surrounded by large oak trees which give the whole park a real woodland feel. 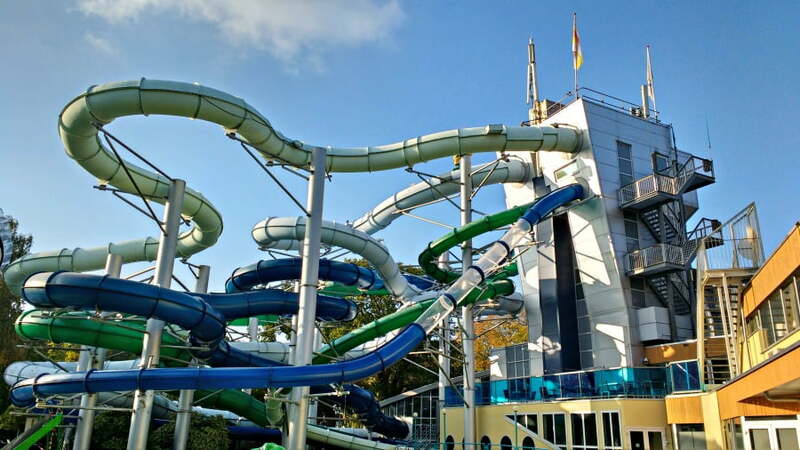 The Tikibad is the name of the water park which is located inside the Duinrell theme park. It has over 1km of indoor water slides including a wave pool (with a gentle sloping entrance), a lazy river and a toddler swimming pool and waterslide inside a large covered complex. Babies will love the separate baby swimming pool and splash area, which is quieter and away from the main swimming area. The maximum dept of the water in the baby swimming pool is 15cm so it is perfect for babies who like sitting and splashing about. There is a large outdoor swimming area which is open from May to September. The Tikibad costs 4 Euros per person (under 4s are free) for 2 hours of swimming. Top Tip – When you arrive at Duinrell, you will be given a Duinrell Information sheet telling you what is going on at the park during your stay. Look for the special days when the Tikibad is open at 9am for children smaller then 120cm and make sure you go. We went on one of these days and the pool was so quiet – we nearly had it to ourselves. 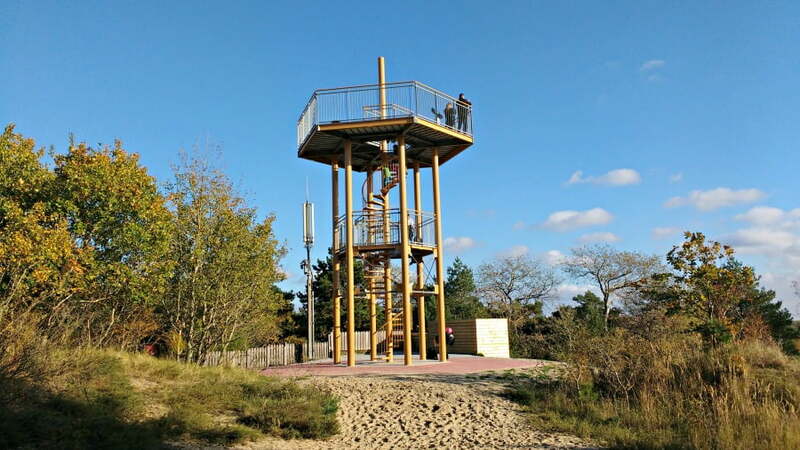 We went to Duinrell with Eurocamp, and stayed in one of their Esprit holiday homes. This had 3 bedrooms and 1 bathroom and suited our needs perfectly. There was a large living space with a dining area, small kitchen and plenty of space for all the toy trains which my 2 boys decided to bring with them too. Outside there was a large decking area with dining table and a couple of sunbeds. It was quiet, and we had our own parking space just outside our holiday home. Most importantly, it was centrally located and the theme park, Tikibad and supermarket were less than a 5 minutes walk. 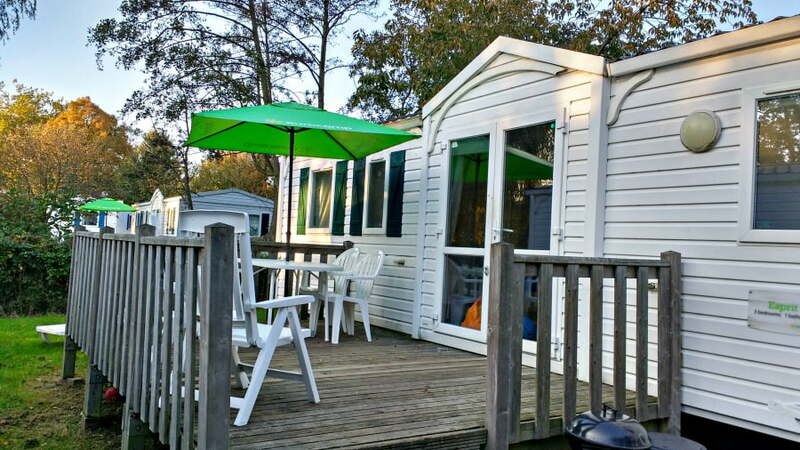 Eurocamp have loads of other types of holiday home at Duinrell to suit most family’s needs and budgets. Their new Avant and Aspect models are more spacious and luxurious and offer extras like a dishwasher, Bluetooth speakers and a decking gate so toddlers can play outside safely without wandering off. The Vista holiday homes have 2 sets of French doors so are really light and airy, and they have their own BBQ. 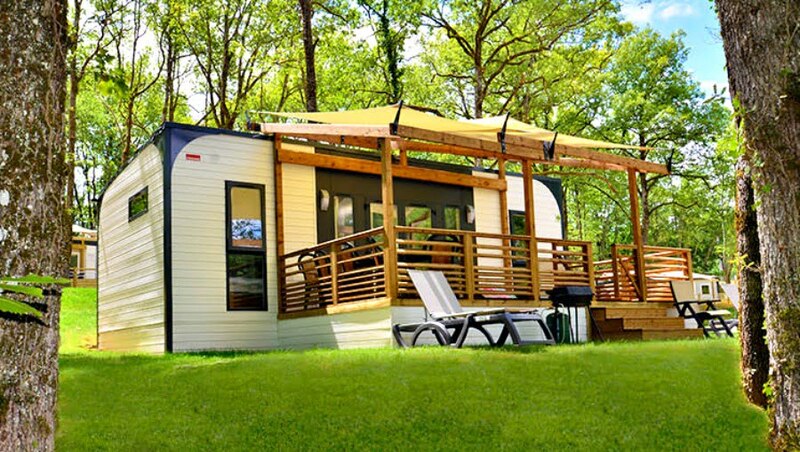 The Espace holiday homes are the largest so are good for larger families or if you are bringing Grandparents along. 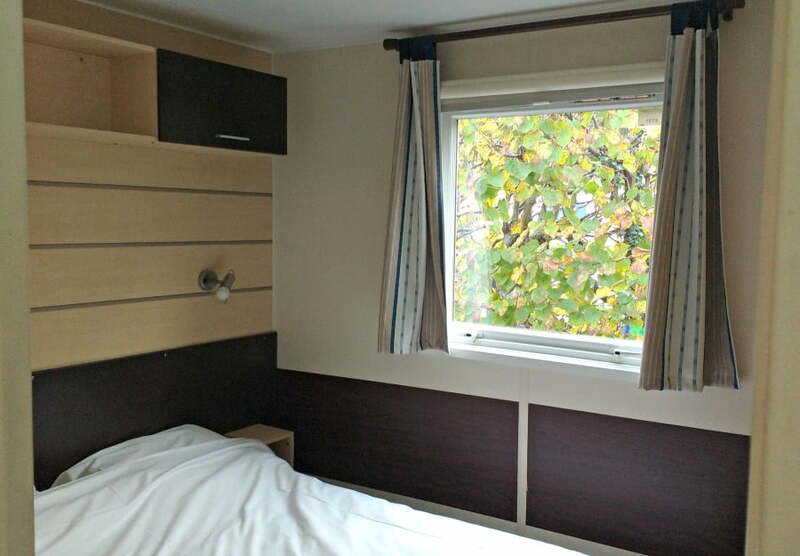 The Classic range provides affordable accommodation for families. I had prebooked bedding, a welcome pack and some extras for my toddler, including a bed rail, and that was all waiting for us when we arrived. There was also a toddler step in the toilet, and a safety rail to stop the toddler escaping onto the decking when we had the door open. Eurocamp offers families travelling with babies and toddlers the option to prebook loads of free baby and toddler equipment including travel cots, high chair, bedrail and booster seats. Duinrell is easy to get to from the UK. We got the overnight ferry from Hull to Rotterdam and arrived at Duinrell bright and early next morning. Alternatively, you could fly to Amsterdam Schipol Airport and take public transport to Duinrell. Top Tip – We booked our ferry travel through Eurocamp and it was considerably cheaper than booking it direct with the ferry operator. Booking it via Eurocamp also meant the cost of the ferry was added to the holiday price so we only had to pay the balance 8 weeks before departure. Top Tip – Eurocamp check in is 3pm but we arrived at Duinrell at 10am. 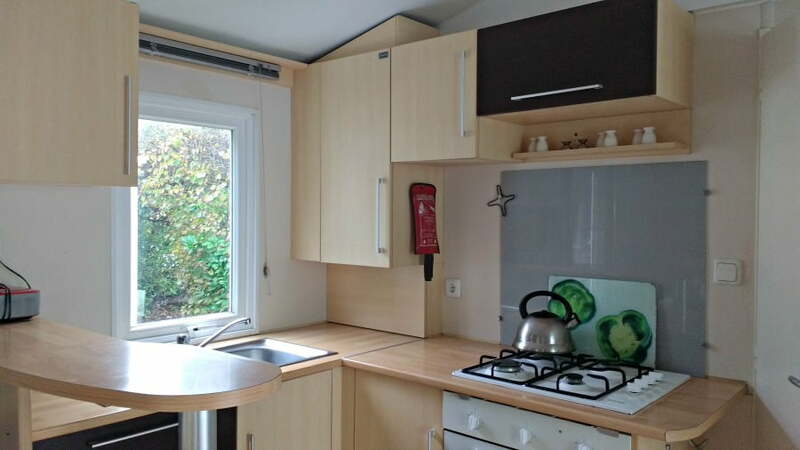 You can use the facilities of the park until your holiday home is ready, but we had booked our holiday home from the day before we arrived which meant that we could check in immediately once we got there. Booking an extra night didn’t cost much more and meant that we could get unpacked and sorted quicker. 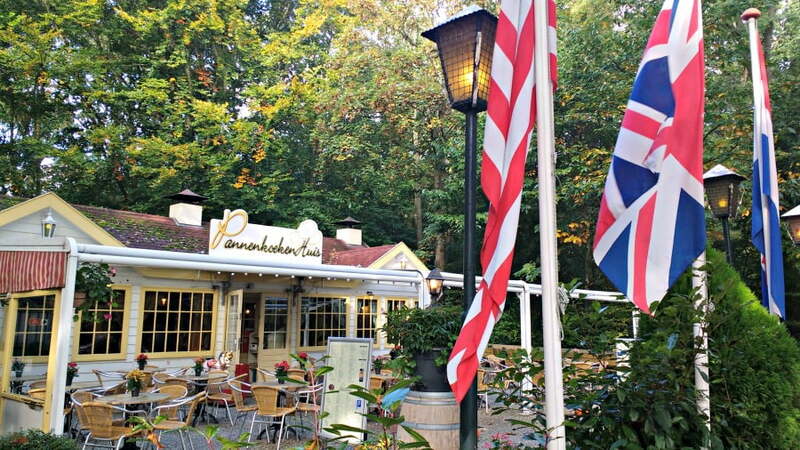 The Dutch are pancake mad, and one of the best places to get pancakes near Duinrell is at the Pannenkoeken Huis just outside the park entrance. This pancake house serves a mixture of sweet and savoury pancakes and was the place we headed to for brunch just after we arrived at Duinrell. Kids pancakes cost about 4 Euros and adults pancakes range from 8 – 11 Euros depending on which toppings you have. The best ice creams can be found at Luciano’s in Waasenaar. 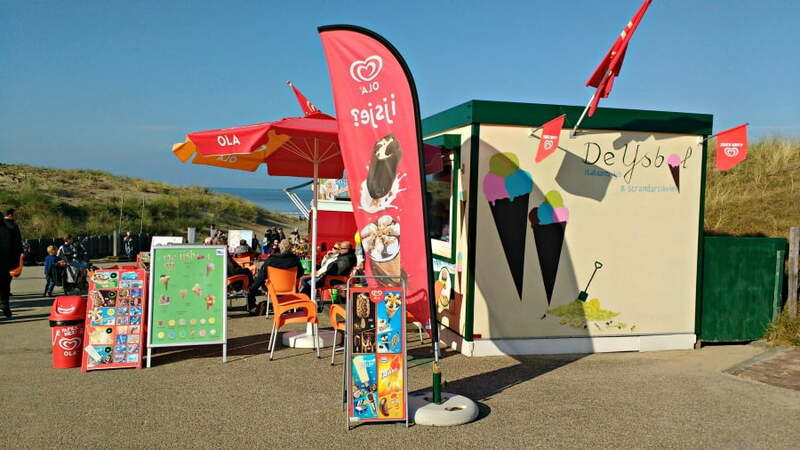 This ice cream parlour serves some of the best ice creams in The Netherlands, and is just a 5 minute walk from Duinrell. 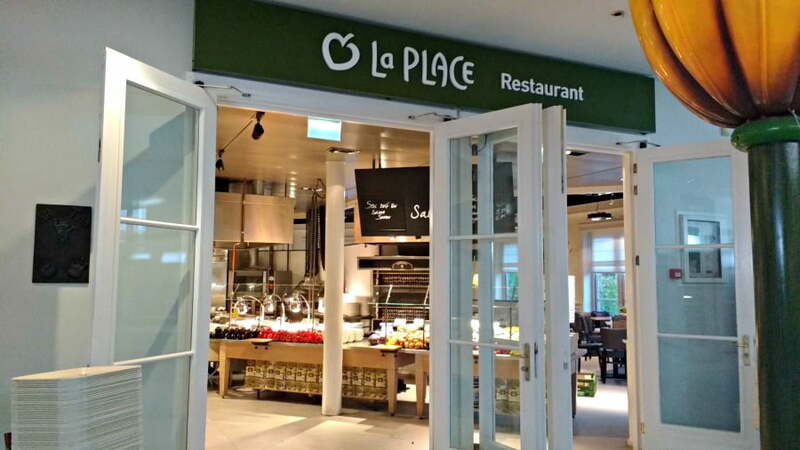 There is a La Place restaurant onsite at Duinrell which serves breakfast until 10am, and lunch and dinner throughout the day. La Place prides itself on serving fresh, locally sourced, quality food and we really enjoyed eating there. Plus, there was a Kids Corner for the kids to play in until the food arrived. There is also a supermarket at the Duinrell Plaza or you can walk into Waassenaar where there are a few supermarkets. A ‘normal’ day for us at Duinrell was to spend the morning at the Tikibad water park followed by the afternoon at the theme park on the rides (or vice versa). The Netherlands is a beautiful country though with lots of interesting places to visit, so it would be a shame to come here and not see some of the country. 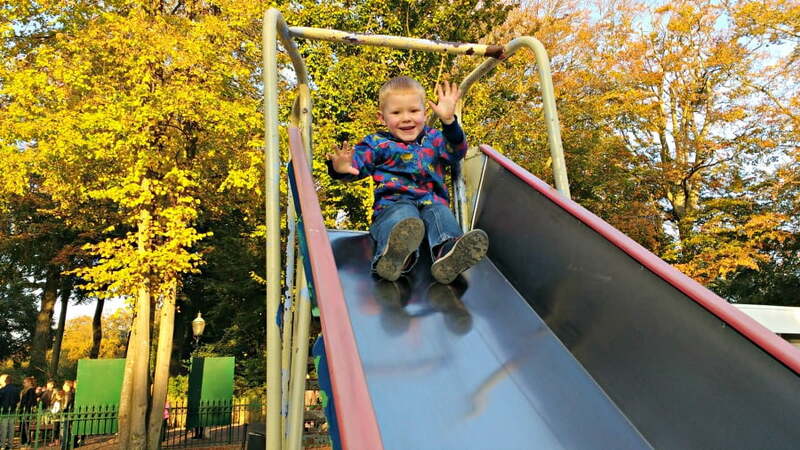 This article about things to do around Duinrell with toddlers should give you loads of ideas about how to spend your time away from Duinrell. Here are a few ideas just to get you started! The Beach – a 4km bike ride or a short drive takes you to the sandy beach of Waasanaar Beach. Here you can paddle in the sea, build sandcastles or play in the sand dunes which line the beach. Leiden – This university city was the birthplace of Rembrandt. It is only about 20 minutes away from Duinrell, and is a great place to have a wander and take a boat tour on the canal. Amsterdam – Duinrell is just 40 minutes from the Park and Ride which will take you into The Netherland’s capital city. Scheveningen is one of The Netherlands premier beach resorts and is less than 6 miles from Duinrell. There is a Sea Life Centre and Madurodam which is a miniature version of Holland. Zaanse Schans – you can’t come to The Netherlands without seeing some windmills. 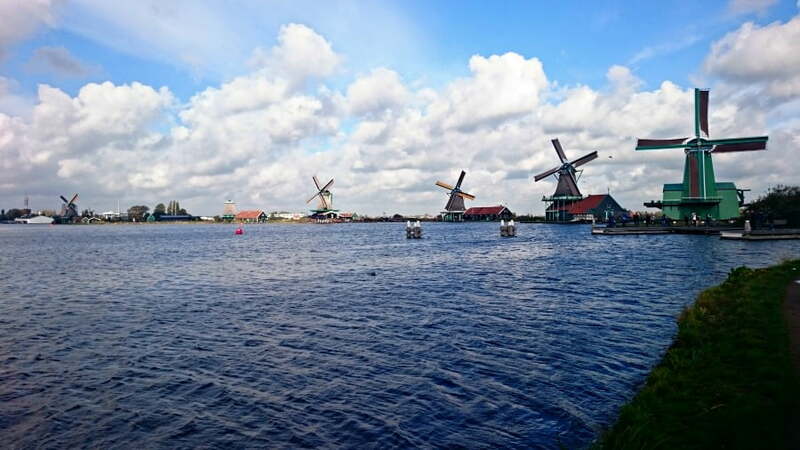 Zaanse Schans is an open air museum where you can see lots of windmills operating. It is very touristy, but is in a beautiful setting and about a 10 minute walk from an amazing bakery which serves mouth-watering cakes and sweet things. 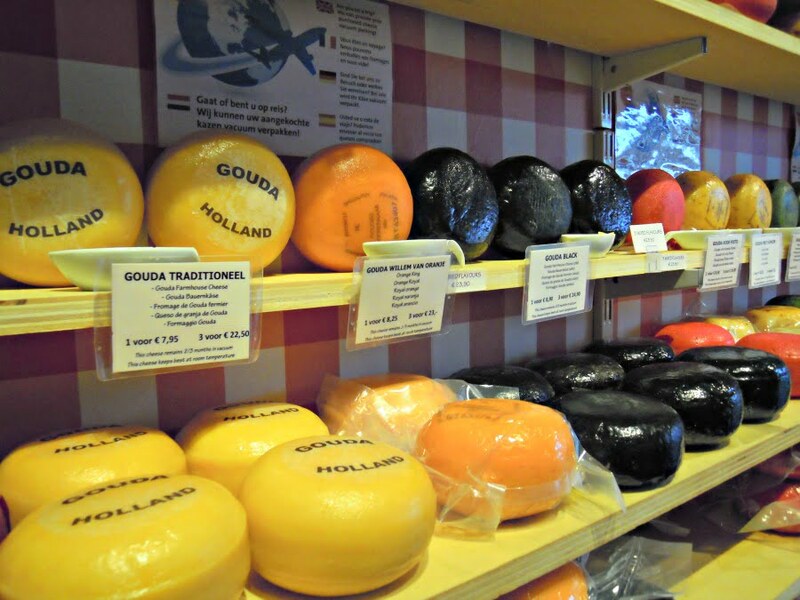 Gouda – You also can’t come to The Netherlands without eating lots of cheese and finding out about the history of it. A trip to Gouda is a fascinating way to find out more about the cheese and also to buy some for yourself. We booked our trip to Duinrell through Eurocamp and stayed in a 3 bedroom Esprit caravan. Click here to find out more about holidays at Duinrell. Eurocamp usually have lots of offers which includes Duinrell discount codes. Check out the Eurocamp site for more info. 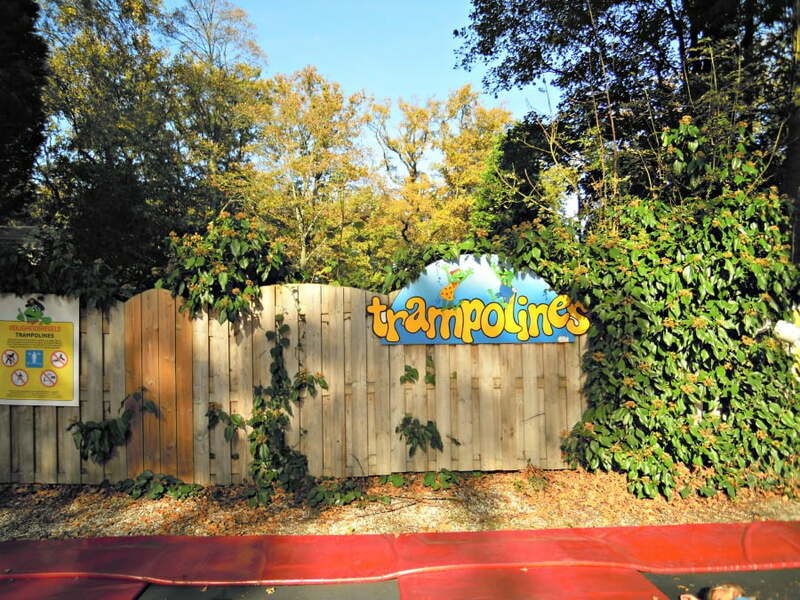 This article is worth a read if you are wondering which are the other best Eurocamps for toddlers. This is a fantastic review of Duinrell. I’ve heard a lot about it and it really is ideal with the theme park five minutes away. I love your tips about booking the ferry with Eurocamp and booking your holiday home for an extra day to check in straight away – genius! This looks like a fantastic trip! You’ve really sold it to me!